Predictably, the first word used by media outlets such as PA, BBC, ITV, the Observer, the Mail on Sunday, the Sunday Times in reporting that Jonathan Aitken had been appointed by the CSJ to look into prison reform, was "disgraced". Once the media have settled on your prefix it's nigh on impossible to shake it off. "We were expecting an arrogant ex-Tory minister who felt hard done-by and who was going to be a complete pain in the arse... but it was the opposite straight away. He was one of the chaps." "To be humbled makes you look at every aspect of yourself. There is relief in being who I am. Nothing can embarrass me, as everyone knows everything about me." The key thing here is partly what David Cameron is getting at when he talks about politicians' right to have private lives before they worked in the public square. Yes we should reserve the right to judge the character of our politicians when they have an extra-marital affair, receive undeclared payments, and anything that causes us to question their trustworthiness. But if it is clear they are genuinely reformed characters then they should be given a second chance. George W Bush did all sorts of things in his youth but when he became a Christian the American people not only accepted the new man he'd become, but saw him as a regular guy in a way that isn't normally possible for a President's son. "It is a cause dear to my heart for obvious reasons. I don't regard this as any kind of Aitken comeback. I regard it as a job to be done and an assignment. This is something I can contribute to, not that this is some sort of ladder for me... This isn't an ego trip for me. This is a job to be done. I have a very good team who I think will help to do it well." His policy group, to be launched formally tomorrow, will include former Chairman of the Youth Justice Board Professor Rod Morgan and Guardian columnist Erwin James - a former life-sentence prisoner. More than 200 members of Thanet South association wanted him to stand as their parliamentary candidate in 2004 but this was blocked by Michael Howard. One thing that seems to have been forgotten by the press is that he did back UKIP a few months later, although he didn't get actively involved in it (it still exists, by the way). To me, the one real blip since being convicted was his support for the Government in dropping the Serious Fraud Office's investigation into Saudi arms deals, especially considering the reason he was disgraced in the first place. He actually said that even if the allegations were true, it was still worth dropping the investigation in the interests of good relations. He said this shortly after being appointed Honorary President of Christian Solidarity Worldwide. "Everybody deserves a second chance, that is the whole philosophy of the Centre for Social Justice. I am a profound believer in never writing people off. We are now using Jonathan's experience as a way of getting the most from him and him making a positive contribution to society... Jonathan is steeped in the world of politics, he is steeped in the world of prisons. He can therefore travel quite lightly between the two. We asked him and he seemed over the moon." "One of the things that Iain is keen on is that people leading political groups should have some direct experience of the subjects they are working on. I think Jonathan Aitken certainly has the experience of jail and he has shown a great deal of thought and interest in it since." Aitken himself puts it succinctly: "sometimes poachers make good game keepers". If we are a compassionate society then we should not hold any barriers up against Jonathan Aitken. The media reports that I have read this morning have been very unfair and the very liberal types who all too often advocate clemency in the case of murderers on death row are all too quick to create a climate of public mistrust against Mr Aitken. I say give Jonathan Aitken the chance of a fresh start. The media should not be in the business of recriminations. Peter Preston wrote an article in the Observer about Aitken's repentance leaving a bad taste in his mouth. Get a mirror and a bucket of mouthwash round to Observer Towers quick! Nothing more sanctimonious than a liberal on a high horse. Thank you for that balanced article on Jonathan Aitkin. I agree that it is high time the adjective 'disgraced' was dropped, and it is good news that he will be advising the Centre for Social Justice. Many correspondents on other blogs have been vitriolic yet again, but they would do better considering how they might assist in improving the broken bits of our society. Giving up his links with Saudi Arabia would be a real sign that he'd really, really changed. I have heard it said that often the last thing to be converted when a person becomes a Christian is their wallet. That seems to be true in Mr Aitken's case unfortunately. Jonathan Aitken has served his sentence and I see no reason why he should be prevented from making a positive contribution of this kind. Second chance to do what? Be an MP again? The comments of today from the left-wing media have been typically snidey with more reference to the conviction than to the excellent work of the CSJ. I assume, but stand to be corrected, that Aitken's conviction will be spent after 10 years. At that stage, for the purposes of section 8 of the Rehabilitation of Offenders Act 1974, it will be regarded as if it had never occurred. Should the press thereafter wish to mention it in a malicious manner then Aitken could, if he so wished, sue for defamation. In the interim, Aitken is clearly an excellent choice of contributor to the CSJ and we should all wish him success in the role. "Second chance to do what? Be an MP again?" TT, no-one is suggesting that he becomes an MP again. I'm reminded of Cameron's "nation of the second chance" speech at the CSJ shortly after becoming leader. It's central to our philosophy that humans are imperfect but do have the capacity for good. That's why, Traditional Tory, it's important to recognise the good when we see it. We don't see it enough. I don't see this as "a second chance". It's a very experienced person asked to look at something he has specific experience in. He has served his sentence. This "disgraced" stuff is from leftwingers and the media (we really should stop distinguishing between the two) who know they can get away with it because no one kicks them back. "It seems to be two steps forward and then blast a foot off with the Conservatives at the moment." Surely this appointment is a serious lapse of political judgment. It is irrelevant whether Mr Aitken has learned his lesson or not. Let's hope he has, but we cannot afford to resurrect these figures from the past who are, like it or not, inescapably associated with "Tory sleaze". This may be hard on Mr Aitken but is simply political reality. David Cameron should immediately countermand this ill-judged decision.It loses votes and hands weapons to our opponents. Deputy Editor, dead right. Life is very much a learning process and I don't think there is one person in our country who has led a completely flawless life. Sometimes we have to make a mistake to learn from it. Our prison system must be about rehabilitation after punishment. The great tragedy about the current system is that the main bulk of the prison population are recidivists. Prison needs to be more than just a punitive regime. The problem with him is his name. Today it was used to remind people of the illegal acts he did whilst a Conservative MP. What else did he and the party expect the media to do? Why was there any publicity? It did him and us no favours. Can he not work quietly in the background? Any work with the Conservative party will be used by our anti-Tory media, as an excuse to beat the party and him up. Profumo did many years of good work but never sought publicity for it and his "crime" was arguably far less than Aitken's. Bad move by the Tory party IMHO. The sight of Aitken's smug mush on the telly again will be nothing but a big turn off for many potential Tory voters, me included. I don't know if Aitken is genuinely repentant or not. He comes across to me as smug and shifty rather than sincere. However, whether he's genuinely sorry or not the fact is the Tory Party don't need him, he is a vote loser. There's plenty of decent, talented people in the party without having to take a big risk on types like Aitken. "When is the Government going to get this message: democracy is not a device to keep the Labour Party in power." So, this debate, like the Hastilow one, is between those who believe in doing what's right and those that believe in doing what elements of the media will permit as 'right'! Are the British people so stupid that they can't understand such an obvious reformation of a character? Not a very 'modern, compassionate' view of the world. Peter Preston's article itself is what leaves me with "a bitter aftertaste", not this good news story. In fact, bitter aftertaste describes his article pretty well. Thank you Nick but off topic comments should, in future, be left on the homepage thread. The CSJ can I suppose find any number of people with criminal pasts to take advice from, Jonathan Aitken is no better nor probably no worse than many other criminals. From a political perspective I think it's a foolish decision though. I agree totally with everything in Deputy Editor's article, including about the only blip in Jonathan Aitken's record since conviction being his support for the Government in dropping the Serious Fraud Office's investigation into Saudi arms deals. This aside, this is a wonderful example of the truly repentant and reformed rightly being given a second chance. (Another example being St Paul?). IDS and Mr Cameron have therefore not only made an appointment that is so obviously apt, but also have acted on high Christian principal. This is of course unlike the liberal media who, with the rest of the metropolitan liberals, seem keen to be easy on dangerous criminals and to make excuses for terrorists, while having another, less merciful, attitude to fallen but restored people like Mr Aitken who have served their punishment. Absolutely right Tony Makara (1425) and Deputy Editor (1735)! Anyhow Mr Aitken does not regard this as any comeback or step on the ladder, but a positive contribution he can make. I listened to Peter Preston talking on the BBC this morning about this with an ever-increasing sense of disgust at his sheer nastiness! Is there no scope for rehabilitation and is someone to be pilloried for life because they messed up and served their time for having done so? I think this is actually an inspired idea on the part of IDS - Jonathan Aitken will have a great deal to contribute and policy making will be greatly enriched by his contribution. What next Archer to advise Boris. This fool should be kept as far away from policy and politics as possible. What a stupendously stupid thing to do, just as we have changed our image, bring back some plonker who conjures up all the wrong memories of the party. I despair . . .
Jonathan Aitken had everything - power, wealth, influence and some very pretty daughters. He got his nose caught in the trough - then he lied about it and tried to blacken the reputation of others. He then fought a libel case to further discredit people. He did not make one "mistake", he made a series of calculating decisions aimed at carrying out a massive deception. Equally a man who tried to use the courts to assist his lies should be excluded form political life. Also, why Aitkin? There are thousands of others who could help with the IDS report. Men and women who have been in prison after really making mistakes. Men and women who could be helped by an opportunity like the one offered by the CSJ. Aitkin had his chance and blew it - give someone else a stab at a better life. The Tories are supposed to be a professional poliical party dedicated to wining the next election and ridding us of the vile Brown. Therefore, I really cannot believe the naivety and amateurism of the pro-Aitken brigade, and this on a day when the latest ICM poll shows us 8 points ahead. Are we willing to throw away our advantage and negate all Cameron's good work by pandering to dubious characters like Aitken and his misguided supporters? The bloke's a 65-year-old helping with a policy group - he's not in the Shadow Cabinet. He's not even an MP. Why all the outrage? Deputy Editor, it's your choice. Who would you like to see rehabilitated and given a second chance? 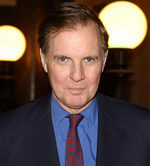 Jonathan Aitken, or the Conservative Party? It is poor PR and the kind of thing Coulson has been good at getting us to avoid. IDS has made a big mistake, any good work this group might do will be overshadowed by the reminder of the sleeze of the Major government. I hope Aitken brings his sword of truth. Both, they're not mutually exclusive options. Do you believe the average punter will see a repentant former Conservative Minister advising the CSJ on prison policy, having been in prison himself, as what Labour is spinning as the Conservatives returning to their "disgraced, scandal-ridden past"? It makes a lot of sense really. It's not like he's taking Drayson's job. I'm sure some people will subconsciously read it as a metaphor for how the Conservative Party has changed for the good rather than how it is "reverting to the bad old days". I thought Aitken's image had been 'rehabilitated' some time ago anyway. Not that hacks in need of a headline care. He has served his sentence and has been rehabilitated back into sociey, having not re-offended since his release. Would that prison always had the same end result? is the "man of the manse" going to reconcile taking a pop at such a man being allowed to discuss his experiences, with his own Christian principle of forgiveness? Anyone who has seen Aitkin talk recently would not think he sounded arrogant. It does not signal the return of others [or indeed him]. Each person should be judged on their own merits. It is a storm in a Sunday afternoon teacup. If it does go on, and Cameron is challenged about it, he is more than capable of making clear his compassion for a humbled man. Compassion is not something traditionally associated with the Conservative Party. Anyone can do politically correct compassion and I suspect this non-violent offender is not going to scare the public. I do believe the way the media have tried their best to make this a kick in the teeth story against the Tories - Cameron should issue a statement much along the lines of Iain Duncan Smith "People are worth a second chance" English people are fair people and they will support Cameron (should he say it) and also Aitken. Decency must prevail. "People are worth a second chance" ... Decency must prevail. Er, I must admit I don't recall this line from many Tories when Mandelson and Blunkett were rehabilitated. In fact the press and opposition politicians were so consistently on their case they were harried into resigning a second time, for far less serious misdemenours than the original offence (esp. in the case of Mandelson, who was subsequently "proved" not guilty). Try and rehabilitate if you like, but once out politicians these days aren't allowed back, either by their political opponents OR the media. Ok. The logic is that Aitkin has served his time and deserves a break. So why not make it policy that ex-cons cannot be discriminated against in employment law. They too have served their time and should be given the breaks Aitkin has been given. Ask yourselves this - would you employ him in your business. Would you trust him. I bet Carol Thatcher has a line on this one - her mother certainly did. After reading some of the social-workerish, moral eqivalent, non-judgmental, trendy live-and-let-live nonsense on here I had to remind myself that I was reading a Tory blog and not the letters page of Social Work Today. I can now see why increasing numbers of people seem to be rejecting the mainstream parties, including ours, and, in many cases, turning in desperation to the hardline, no-nonsense, certainties offered by the likes of the BNP. Aitken's case isn't comparable to Mandelson/Blunkett. They are who they are. He was convicted for perjury, did his time and is clearly a very different person because of the humbling experience of being Prisoner 73 and the transforming experience of his new Christian zeal. I've never been accused of being a wishy washy moral relativist before, "anyone but brown", but I certainly don't want to live in a society/community/family composed of the people you describe. That is unless you are all so perfect that you can live together without need of forgiveness or reformation of character. Jonathan Aitken was charged and spent time in prison, Andrew Pelling MP was not charged by the police and still suspended by the party. The police have done a thorough investigation and found nothing wrong and the Party is still investigating. DE You may be convinced that Aitken is a reformed character and genuinely penitent, many are not. But that is not really the point, is it? It is one thing to forgive and to allow someone a second chance, it is quite another for the main opposition in this country to shoot itself in the foot and to risk throwing away all the good work done recently by, so publicly taking back a man who, for better or worse,is still seen by many voters, inc Tory voters and floating voters, as a liar and a conman. Either the Tory Party has shaken off it's amateurish bent of the past few years and become a professional outfit dedicated to winning the next election, or it has not. And please spare me any more of the holier-than-thou, pious, nonsense. We are talking about politics and the future of our country here, not having a social services case conference. Not a good idea I'm afraid. anyoneforbrown - you seem fairly determined to do the media's job for it, it must amuse the more rabid leftwing media junkies, er, interviewers etc:, to read the prophets of doom like you. There must of course be some sort of perfection, in terms of MP's, or political advisors that people like you have in mind. Because people grumble about Coulson, they grumbled about Hilton -- and on and on. It would be a change if all the grumblers (I won't say whingers) came up with some positive suggestions for a change. It really doesn't matter whether Aitken is a reformed character or not. I heard him lecture on the subject earlier this year in the City and he was clever and informed. But he is a convicted perjurer at a time when we are trying to nail the government for lying. He reminds the electorate or at any rate entitles the lefties in the press to remind the electorate, of the Major years, when we have just made Herculean and I thought successful efforts to permit them to forget them. No one is interested in prison reform except in 5 postcodes and 3 of those are in Islington and Camden, where we have no marginals. Prison reform is something you sort out in your second term once you have got elected. The only prison reform likely to win us an election is hanging existing and future lifers and somehow I don't think anyone expects that to be the outcome of the review. Those Sunday School teachers amongst us who feel that the man has repented and *must* be allowed another chance shouldn't be posting on the Sabbath anyway. Ah, he's found God, I know that you are Conservative Christian chairman, but really when there are 60 million people in this country, do the Tories really need to recruit criminals? It's diasterous for the party's image, given that his antics were what lost power last time. Hardly a reliable type to base ones opinions on, the fact is that it is not reasonable for people to expect a second chance for crimes such as perjury, or bank robbery for that matter, I have no problem with him commenting on his experiences and how it changed him, how he regrets trying to involve his family in his deceit, however he should not be in any kind of authority role including policy development in a political party. In Florida he would probably not even be allowed to vote because of his being an ex-con, a reasonable restriction. I think the same of Jeffrey Archer, who it has to be said was vilified by many of those eager to give Jonathon Aitken a second chance. Neil Hamilton more than anything shot himself in the foot, actually was not convicted of anything and yet was treated as if he had done something far worse than either Jeffrey Archer or Jonathon Aitken, however I don't think Neil Hamilton either to be suitable for positions on crime or probity, or Ron Davies, or Jeremy Thorpe, or Mark Oaten, or the former Labour\SDP MP the late John Stonehouse, or the late Robert Maxwell, or the pronounced late Lord Lucan. I'm certainly no liberal and am opposed to US governors granting clemency on Death Row inmates or the Justice Minister granting pardons to convicts. Sentences should be mandatory according to offence and be absolute regardless of who it is or what they claim were mitigating circumstances. If they are guilty then they are guilty and should face the consequences - end of story! As far as I'm concerned it should be a case of they had their chance and they blew it. Do you believe the average punter will see a repentant former Conservative Minister advising the CSJ on prison policy, having been in prison himself, as what Labour is spinning as the Conservatives returning to their "disgraced, scandal-ridden past"? Their is a bit of a difference between someone given the status of an advisor, and someone who is free to comment on it, but has no direct input and so what they say has to be considered equally with similar people commenting on such things. If he were a street sweeper who had gone to jail for perjury no one would have cared what he said, why should he be any different. This will go down badly with the General Public. IDS PR advisor has dropped the party in it over this one. There should have been no publicity and Aitken's role should have been downplayed. The BBC Today programme is still running the story a day later, Jim McLabourly etc. Not opining on Jonathan Aitken per se, just expressing general astonishment at how generous and forbearing politicians are. Think, for example, of A. Blair and his "umpteen strikes and you're out" policy, with the codicil "..until I can find a way of getting you back in again or, failing that, Brussels". Can you imagine this happening in ordinary employment? It suggests that favours are owed and/or there is an insufficient pool of talent to fill vacancies arising. PR-wise, the Tories have just done a Blunkett! Er, I must admit I don't recall this line from many Tories when Mandelson and Blunkett were rehabilitated. Does anyone remember any contrition from either of those two? Quite simply, forgiveness is only due to those who are truly sorry for what they have done. I don't know whether Mr Aitken falls into that category, I haven't met the man, though people who do seem to think that he does. The problem with the lefties is that they don't want people to take responsibility for their actions, an approach that is completely at odds with the concept of a second chance. Political mistake? That's another issue. Bad decision. By all means look at prison reform, but for the love of all things holy, do not publicly invite Aitken to be involved in such a manner. The name is still radioactive in some parts. Whatever your views on this matter (and I have made mine perfectly clear) this has been a robust and healthy debate and certainly not one which would have been allowed on any Labour supporting blog. All credit must go to the editor and deputy editor for allowing this debate and for not censoring views like mine which differ fundamentally from theirs. As I said, such a free and open exchange of opinions would not be allowed in Brown's Stalinist Labour Party. 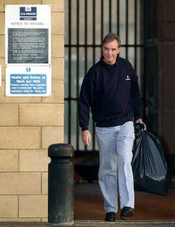 Jonathan Aitken broke the law and made a fool of himself, but he has now served his time and should be able to get on with his life. If Iain Duncan Smith thinks that he (Aitken) has something to offer then why not? It would be shame to waste someone's talent and to keep punishing them over and over again for the same mistake. I don't think that the general public will mind that much - the younger ones won't know who he was, a lot of the rest probably won't care, and, in the grand scheme of things, I can't see there being enough of a negative impact to seriously dent our performance at the next General Election (there will be far more important issues than the role of Jonathan Aitken - our policies on prison reform perhaps?). Society has punished him and he has served his sentence. I say keep him on. It's great to have this permanant reminder of Tory sleaze on-hand. I do not dislike the man and he may well have something to offer. But it should be elsewhere. Have some political realities when there is a choice. I think you are clutching at straws, aren't you, passing leftie.... especially after Ten Years of the Blairs, whose guiding maxim has been God helps those who help themselves...lavishly. This is intended to be a smear story, but I think it can be used to send a very positive message - Tories are tackling prison reform - Labour is not. Tories are a compassionate party who believe that everyone deserves a second chance - NuLab are truly 'the nasty party'. Almost nobody is ever so much as charged with the extremely common offence of perjury, and to receive a prison sentence of the length meted out to Aitken would ordinarily require one to have perjured oneself in the course of a criminal trial for murder or drug-trafficking, not in the course of a civil action for libel. The man has both the ministerial experience of what is possible in government as well as the perspective of having been a lag. Why not bring him in to advise on the subject? My experience in working with the national offender management service is that the system is very broken and needs to have a carefully thought out plan to ensure that those who have merely fallen off the straight and narrow can be helped back, and to ensure that serial recidivists never see the light of day again. Next you'll be telling me, passing leftie, that Lord Hutton's Enquiry was rigorous, put Tony Blair through the wringer and got to the bottom of the issues. You really do have to be a serial fantasist to support the Labour Party. Having a small brain also helps. Accusing me of being a "fantasist" when you appoint people such as Archer to the Lords is risible, and who was the massive brain behind putting him up for Mayor? I suppose if argument fails, vituperation will have to suffice for you. It probably will passing leftie. But I'm sure you relise that Michael Mcgowan is right. The government of the last ten years has made the previous government look like rank amatuers in the sleaze and corruption stakes. Labour of course has never made any stupid mistakes: at least the ridiculous Archer never got close to being elected London Mayor while the malevolent buffoon Prescott was Deputy PM for 10 years. Describing the Hutton Enquiry as anything but rigorous is not "vituperation"....just simple observation. And even if it were, you should be flattered: imitation is the sincerest form of flattery and just about the only thing that the Labour Party does well is malice and character assassination. No-one, however, comes close to matching John Stonehouse faking his own death! If people have been charged with an offence, convicted and served their time they are then free to get on with their lives and should be allowed to - and that applies whether or not they are a politician.